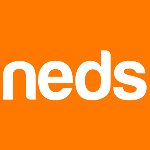 Neds.com.au has established themselves as a digital first company. While they are 100% digital, the organisation operates two contact centres to manage in-person conversations. The organisation is currently delivering a comprehensive onboarding program for both digital and call centre channels to retain new customers, and this is established through the collaborative approach between CX, strategy and the marketing team. Christian will explore their initiatives and delve into the importance of data to attract, retain and meet the needs of new customers.